Why non-elastic loose top socks? These socks are designed for diabetics, people with swollen ankles or for those of you who are just fed-up with socks being too tight and leaving nasty marks on the skin. Non-elastic loose top socks won't leave unsightly marks on your legs or restrict your circulation so they are especially good for those of you who suffer from circulatory problems and they're easier to get on and off! Loose top socks are proven to benefit those people suffering from circulatory problems and the effects of diabetes. Loose top socks don't restrict the blood flow to your feet. 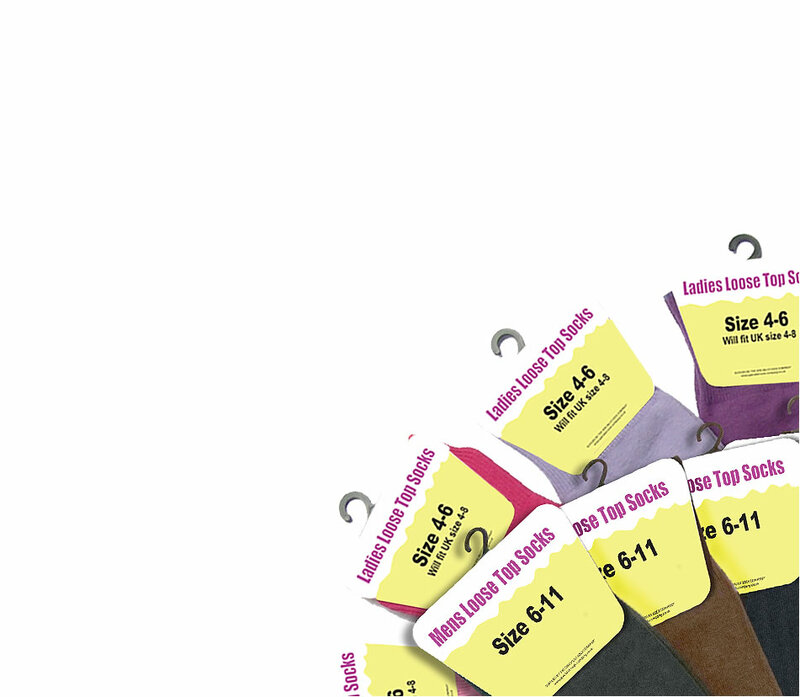 Loose top socks have proven to be very popular with diabetics and elderly people. Loose top socks are easier to get on and off. Loose top socks won't mark the skin.